imagine | Apple pie, anyone? So, just for a second on this Thursday morning… just for a blip of time… let’s throw out all the world’s problems and hurts and injustices. 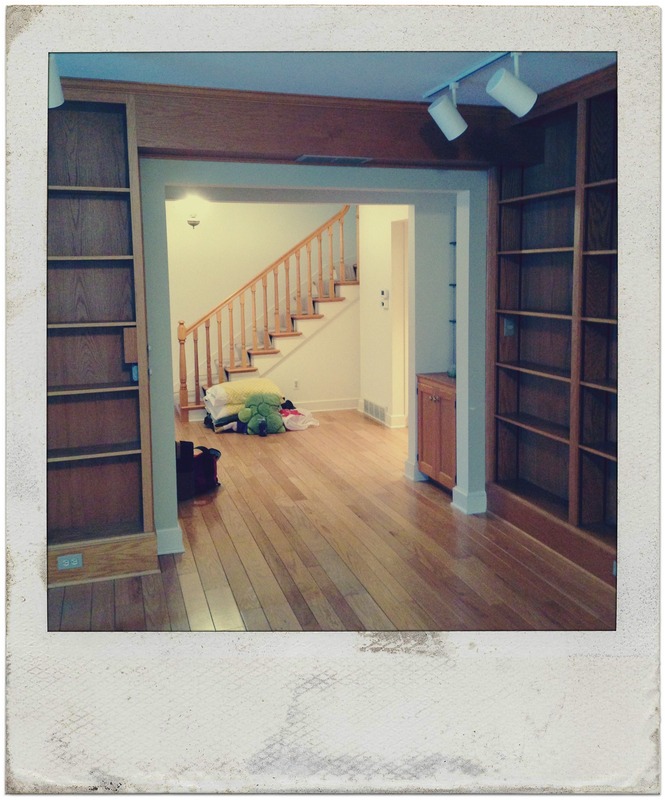 It is an alcove of sorts… an entryway into the living room from the front foyer. On either side of the alcove are glass shelves with a cabinet on the bottom. Aesthetically, they are mirror images of each other: 3 shelves and a cabinet. The cabinet on the east side (so, facing you as you enter the house) has an outlet and houses the sound system. The west side cabinet (so, closest to the front door) does NOT have an outlet. These ARE visible as you walk in the front door. There’s tons of storage/display space. BUT- totally not my style with the whole honey-oak and glass shelving thing goin’ on. Also- there is a closet next to the front door for guest coats and all that. There is also a small room off the kitchen that connects to the garage that will become a mudroom eventually. Remember, there are two of them: facing each other and tucked into that entryway/arch thingy. (Threshold? Is that what it’s called?) Computer stations? Rip out the non-outlet cabinet and make a homework desk? Paint the cabinets? Trade out the glass shelving for rough wood (this is a YES). Make it a bookcase from top to bottom on both sides? This entry was posted on Thursday, January 22nd, 2015 at 11:51 am	and tagged with txnbluehouse and posted in projects. You can follow any responses to this entry through the RSS 2.0 feed. 3 shelves, 3 kids. I would give each one a shelf and tell them that they can use their shelf as a personal show and tell spot for anyone who comes to the house. Their shelf can display art that they make, or things that they like, or objects that represent who they are or want to be. Good, good. I like it. They would totally be into this. I love this idea! A source of pride to display and show, but also a limited amount of space. If it is full, then something has to be removed in order for something else to be displayed. But since I’m guessing that’s not the look you’re going for, I think bookcases all the way. I’m totally jealous of all the built-ins in the living room, by the way. Hey. I bar station is absolutely NOT out of the question. Never even thought of that. Maybe old western style. I LIKE IT. First I would lose whatever that is in that little alcove. You could put a door on that and have a great coat closet unless you already have one. Or a bench with shelves and baskets for hats mittens etc if you use your front door. Then I would keep the built ins but paint them white and add white shelves. Paint all that wood up there to match. Now I’m stuck after that. You could just paint the back of the shelves. My brother did that in his home library and then books were separated by lots of family pictures and interesting art work and knick knacks. Or ,as someone else said, paint them all white. My brother had a deep, rich red. Stunning. Oops! Meant to say *powder bath on right and coat closet on the left. Paint all that honey oak white! 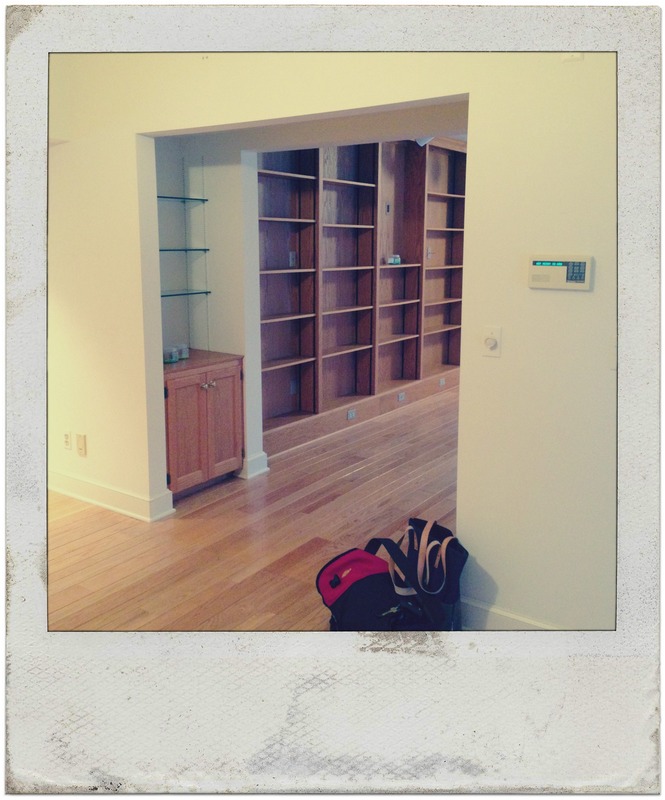 We had honey oak everywhere, built ins, mantel, cabinets, doors, GAG!…we painted it all white. Sigh. Such a fresh bright makeover. You definity need a little bar station. Our built in came with a wet bar and we laughed at first, but now we love it. I like the idea for each kid to have a shelf- but 86 those glass shelves for sure!!! You’ll know how to make it all look perfect and to yalls style. Can’t wait to come and see!!! So, I’m late getting here, but wonder what you have done? If anything? Would love an update on this someday; it’s a curious kind of built in.